Reviews of the Sigma DP2 Merrill from around the web. The Sigma DP2 Merrill is an update to the DP2x with a new body and the flagship APS-C foveon sensor from the SD1 / Merrill Digital SLR, although when comparing the DP2x and the new DP2 Merrill, the camera has been redesigned with a new lens, that matches the specification of the Sigma 30mm f/2.8 mirrorless lens and in some ways could be considered the closest Sigma has come to releasing a mirrorless camera. The two new Sigma DPx Merrill cameras now feature f/2.8 lenses, an improvement over the DP1's f/4.0 lens. The Sigma Dp2 Merrill has been in my possession for a while but it is going back. In other words, I am not going to purchase it. But not because of the image quality. Before I even write one more paragraph I have to say that the image quality of this camera is flat-out amazing when shooting at low ISO with good light. I found it better than the Leica X2, Sony NEX-7, or just about any other comparable camera I have shot with in recent times. 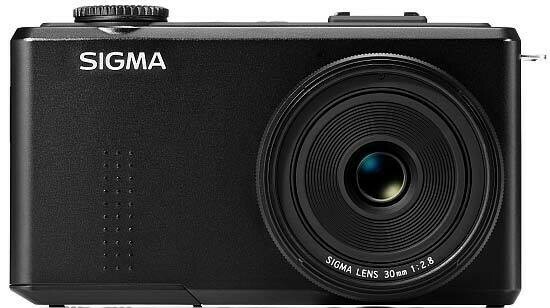 Using a 46 Megapixel Foveon Sensor, this Sigma DP2 Merrill is the 1st “DP” model I have seriously considered purchasing. With its 30mm f/2.8 lens that is razor-sharp giving you a 45mm f/2.8 equivalent, it is a perfect match to the sensor inside. Sigma also has a DP1 Merrill coming that will feature the same insides but with a 19mm f/2.8 lens giving us a 28mm equivalent. Life used to be simple. If you wanted top image quality you got a big camera with a large sensor (or large film size). If you wanted a camera that could shoot high speed bursts you bought an SLR or DSLR with motor drive. If you wanted small size and light weight you bought a pocket-sized camera and accepted the compromise that a small sensor had to offer.